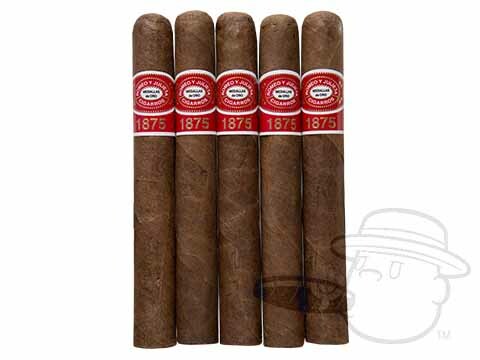 The Primer Lote Belicoso By Romeo Y Julieta is tagged with free shipping. If you order this product, your entire order will receive FREE BCP Ship Saver shipping! Handmade exclusively for BCP, Romeo y Julieta Primer Lote cigars offer a small batch symphony of silky flavor. Comprised of a rare Habana 2000 wrapper leaf over a Dominican Piloto binder and a choice blend of vintage Dominican filler tobaccos, the Primer Lote unveils rich and nuanced character over the course of its slow, straight burn. Notes of sweet cedar and coffee permeate the P.L.’s dense medium-bodied profile, with hints of pepper, citrus, and earthiness popping up in all the right places. Adhering to the grand Romeo tradition, this procession of palate-pleasing flavors is revealed with seamlessly-smooth, spot-on balance. A stand-out smoke right out of the box, and an amazing treat after a few months of additional “rest,” our exclusive Primer Lote is sure to add an impressive new dimension to any humidor selection. 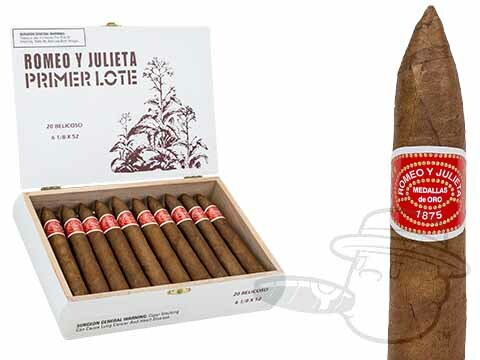 Primer Lote Belicoso By Romeo Y Julieta is rated 4.4 out of 5 based on 4 customer ratings.